If a range, such as A2:D20, contains the number values 5, 6, 7, and 6, then the number 6 occurs two times. If a column contains "Buchanan", "Dodsworth", "Dodsworth", and "Dodsworth", then "Dodsworth" occurs three times. There are several ways to count how often a value occurs. For more information, see COUNTIF function. 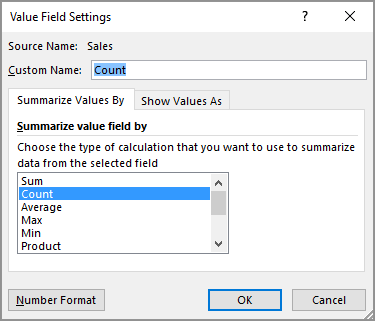 To learn more about using this function to count with multiple ranges and criteria, see COUNTIFS function. 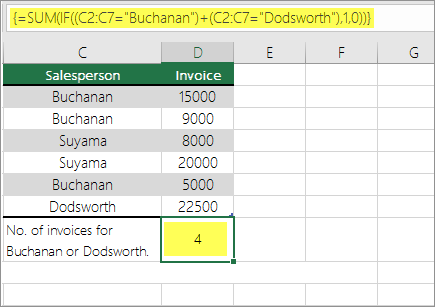 The formulas in this example must be entered as array formulas. 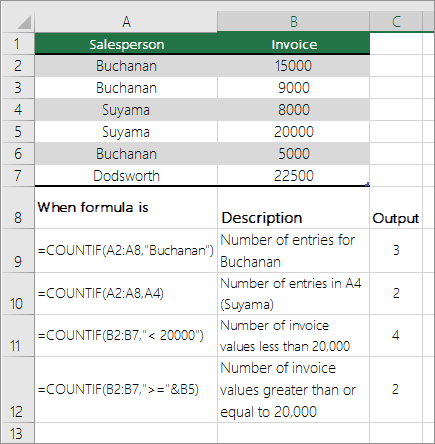 If you have a current version of Office 365, then you can simply enter the formula in the top-left-cell of the output range, then press ENTER to confirm the formula as a dynamic array formula. 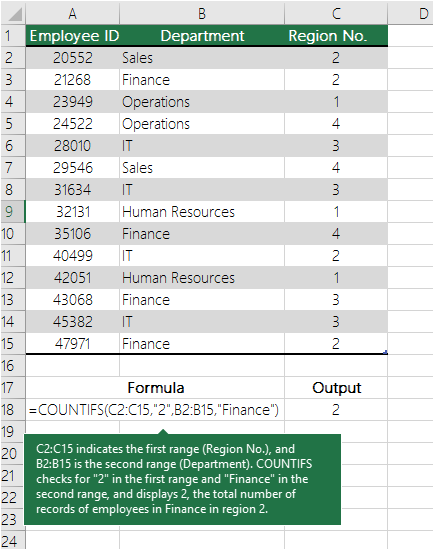 If you have opened this workbook in Excel for Windows or Excel 2016 for Mac and newer versions, and want to change the formula or create a similar formula, press F2, and then press Ctrl+Shift+Enter to make the formula return the results you expect. 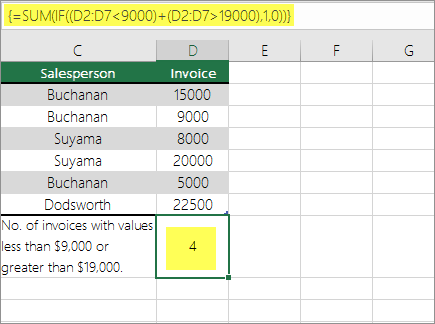 In earlier versions of Excel for Mac, use +Shift+Enter. To learn more about these functions, see COUNT function and IF function. 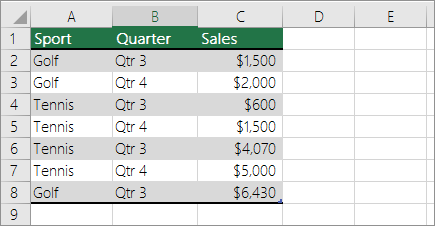 You can use a PivotTable to display totals and count the occurrences of unique values. 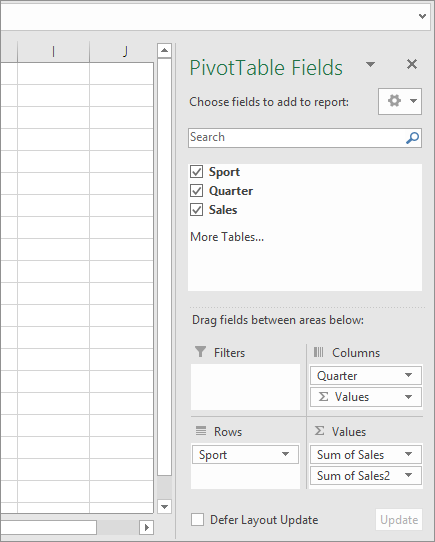 A PivotTable is an interactive way to quickly summarize large amounts of data. 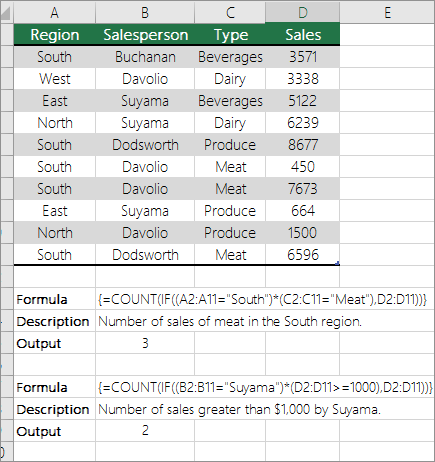 You can use a PivotTable to expand and collapse levels of data to focus your results and to drill down to details from the summary data for areas that are of interest to you. In addition, you can move rows to columns or columns to rows ("pivoting") to see a count of how many times a value occurs in a PivotTable. Let's look at a sample scenario of a Sales spreadsheet, where you can count how many sales values are there for Golf and Tennis for specific quarters.